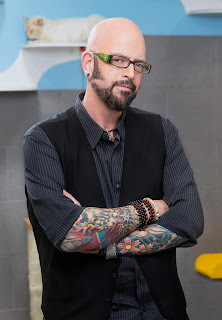 Jackson Galaxy has done it again! He has written another book that is perfect for the cat lover in your life. Total Cat Mojo: The Ulitmate Guide to Life With Your Cat is a must have cat care bible. 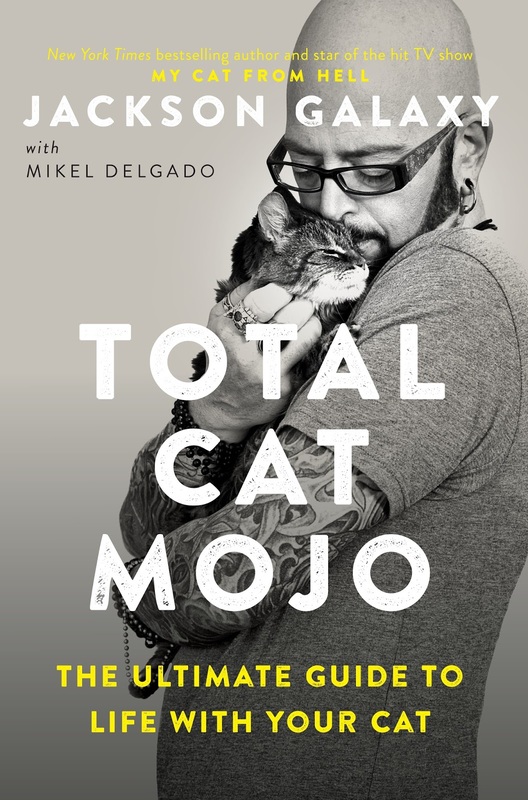 Total Cat Mojo is a fastidious history of cats tied in with helpful anecdotes and facts from Jackson. He defines Cat Mojo as the confidence that cats exhibit when they are at ease in their environment and in touch with their natural instincts to hunt, catch, kill, eat, groom and sleep. The book is full of gorgeous illustrations, there is something eyecatching on every page. That is perhaps my favorite part of the book - because it is not just any other cat book. Jackson along with his co-author, Mikel Delgato PhD, delve into all things cat and reveal how health and happiness for your cat(s) are accessible through understanding how they think and feel. 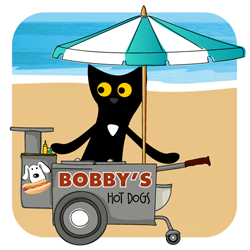 Total Cat Mojo will help the reader understand their cat and develop a better relationship with them. After all, who doesn't want to have a good relationship with their cat? Jackson calls our cat's natural instinct the "Raw Cat" and discusses the variety of ways to create healthy and dynamic households. Topics Jackson covers includes establishing routines and situations with your cat, creating a Mojo map (where do you put the litterbox and cat furniture), litterbox rules as well as handling activities that can cause stress - like vet visits, aggression, nail trimming, etc. Jackson has various pages with additional information outside of the book. Jackson Galaxy is a cat behaviorist and the host of Animal Planet's hit show My Cat from Hell and their upcoming show Cat Vs Dog. He is the coauthor of the New York Times bestseller Catification: Designing a Happy and Stylish Home for Your Cat (and You!). Jackson is also the author of Cat Daddy: What the World's Most Incorrigible Cat Taught Me About Life, Love, and Coming Clean. 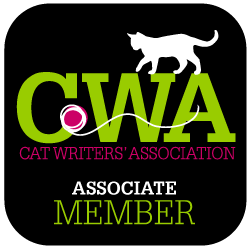 Read previous reviews of Jackson's books here: Cat Daddy, Catify to Satisfy, Catification. 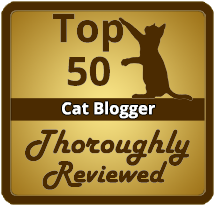 Sandpiper Cat Blog was not compensated for this blog post but did receive a copy of the book for review purposes. All opinions are our own. Excepts from Total Cat Mojo copyright Tarcher Perigee.